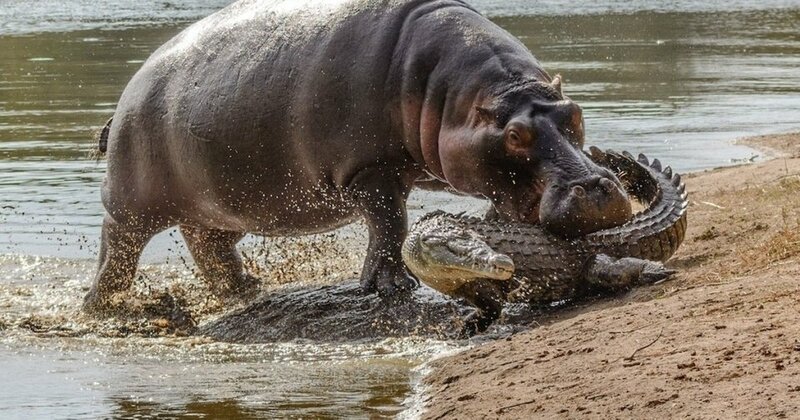 It was when I saw the movie Congo that I realized how dangerous hippos can be. They were not some cute characters in the Hungry Hungry Hippos game, no, they are strong beasts who rule their river domain with brutal efficiency. We have of course seen hippos eat crocodiles before though seeing this zebra do some dental cleaning on one was the cutest thing!